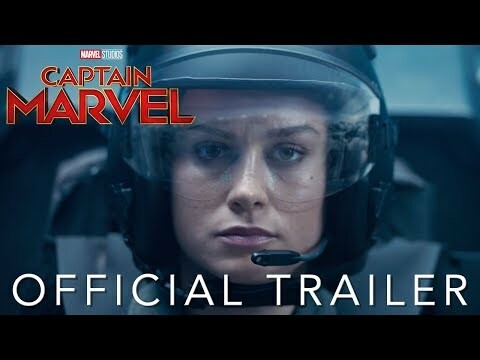 MOVIE NEWS- Captain Marvel. Now with first trailer. I couldn’t find a thread started for this movie. I saw this article and thought it was cool these characters are returning. It's a good trailer. I like that there is a lot of splash, as well as more human-scale stuff, and I didn't feel like it gave away too much. I feel like a lot of it looks like the Green Lantern movie I wish we'd gotten. Marvel: "We're going to do what DC couldn't: make a watchable 'Green Lantern' film." I just showed this to my son. I guess the effects aren't finished, since along with de-aging Sam Jackson, they are going to add in Brie Larson's emotions with CGI. The Captain Marvel trailer felt like a familiar approach. Let the new lead, a character you are seeing for the first time, in this case, seem cool, tough, and mysterious, and let the baddies and the supporting cast be emotional *about* them, react to them, ask the questions about them, while the main character/performance holds back a bit (at least, in the acting, not in the punching). 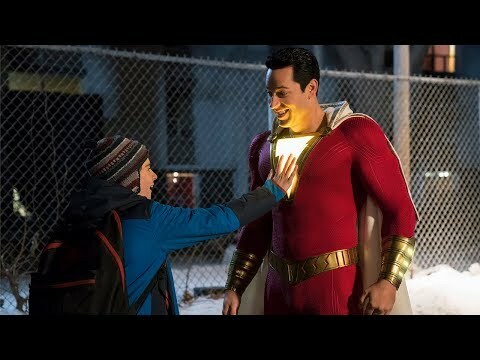 A lot of the heavy lifting from the main character or hints of the more emotional beats are often in the later trailers, and of course, the film itself. But I feel like the Captain Marvel trailer falls into the 'who is the person/ keep them mysterious and cool' camp. I don't think they are trying to sell her on big personality and charm offense, like a Paul Rudd Ant Man. And I get the feeling the tone is this is going to be more Wonder Woman than Guardians of the Galaxy. So, to me, her performance from what we are seeing in this trailer felt right for a trailer that basically had the approach of Who Is This Mysterious Powerful Person/They Don't Even Know Their Own Story Yet. It was a more cosmic presence, alien fallen to Earth take. Worked for me, and didn't seem out of line with so many first trailers I've seen. 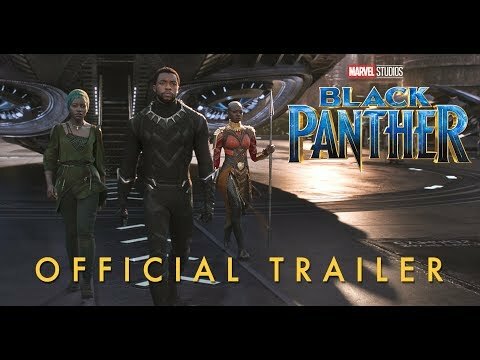 Great trailer, I'm definitely looking forward to this. It's crazy that Danvers was a b-list character for so long, but once they gave her the Captain Marvel title her stock has skyrocketed. Happy to see it, have always liked her characters (and the Captain Marvel series with her that I've read have all been fantastic). I think the Captain Marvel solo series in 2012 (with that excellent redesign from Jamie McKelvie) helped solidify Marvel's commitment to the character. But I think it also helped that throughout the very late '90s and '00s Carol Danvers was getting some steady support. From Busiek and Perez putting her (as Warbird) in their relaunch of Avengers (one of my all time favorite volumes), to Bendis continuing that push, not only putting her out of costume in Alias, but then making her a major player in the fallout from Civil War and split New Avengers/Mighty Avengers, as well as giving the Ultimate Universe version of her a strong role, if I remember right. So I feel like that Captain Marvel title and costume capped off what had been a good 10 or so years for her. I also thought it was funny that, as switching her from Ms. Marvel to Captain Marvel made a lot of sense, as it is a stronger and more grown-up sounding name, in terms of her military rank it actually sounded like a demotion! (As she is an Air Force Colonel). I think the big turning point for her in comics was House of M. She became the most important superhero in the universe, and Bendis (along with other writers) really carried that over. That's a good point. I forgot about that one in the post-Civil War mix, but that was a big platform for her, too. Just saw the trailer yesterday and have high hopes for it. I'm thinking it should be better than Wonder Woman since Danvers is not bogged down with all the responsibility of being a "symbol" as opposed to a character. Then again Marvel has been able to pull off two great Captain America films by surrounding him with far more interesting characters in Winter Soldier and making an Avengers film that was Captain America in name only. I hope they treat Captain Marvel as a character with relatable flaws, wants, and needs instead of going the Captain America route. Two trailers in & I'm not overly jazzed for this movie. Even the Fury stuff doesn’t look as interesting as I thought it would. I’m not going to write it off, but I am just not as interested for this one as I have been for other MCU movies. Hopefully, it doesn’t get overly hyped liked some other comic book movies the last couple years. I am also hoping there are few WW comparisons; good or bad. The Movie is released this week & no scuttlebug on the forum about it? Am I the only one still not overly jazzed for the movie? Conversely, everything (I can’t speak for the movie itself) seems to try and illustrate female empowerment by having Danvers prove she’s stronger then her detractors tell her. 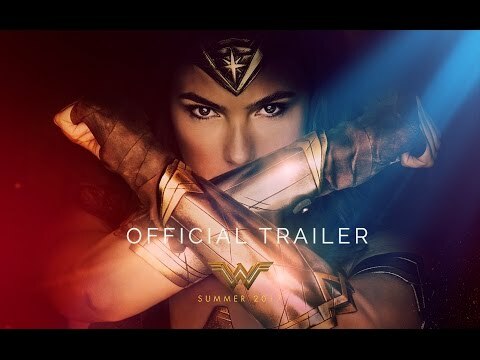 I’m hoping the movie presents empowerment more like WW did. Truthfully, I want my daughter to feel more empowered by being told she’s stronger then hearing this exaggerated notion that women are being told they aren’t. Am I the only one still not overly jazzed for the movie? I can't say the last time I’ve been truly jazzed for any live-action superhero movie. Maybe the first Guardians of the Galaxy? My daughter, however, really wants to see it, so I may end up taking her. I was for Civil War. I think to some extent I was for Infinity War. Other then that, I can’t recall the last time I was jazzed to see any movie. Maybe the A-Team. I was for Civil War. I think to some extent I was for Infinity War. Other then that, I can't recall the last time I was jazzed to see any movie. Maybe the A-Team. I’m jazzed for The Ballad of Buster Scruggs, the movie the Coen Brothers just put out through Netflix. Just need to find the time to watch it. I quit getting excited about marvel movies after guardians 1. I feel like they come out every 2 months and they aren't special must see movies. I'm probably more interested in the other Captain Marvel movie (which isn't very high). I think having a couple to a few a year helped the exposure of the characters. I think after Endgame I’m bowing out. The upcoming possible movies don’t sound interesting and that includes Far From Home. If Endgame didn’t conclude the 22 movie arc, I’d probably not hit the theatres this year. Possible Last Blood, but probably not even that. Looks like the 5 stages of grief added a couple. Time will tell. I really hope i don’t end up mourning the death of the mcu. FWIW, that chick is an Academy Award-winning actress. That doesn’t necessarily mean she’s the right fit for Captain Marvel, but I think she’ll acquit herself just fine. I liked her well enough in Scott Pilgrim vs. the World. Maybe I'm the wrong person to comment, since I’ve only seen two of the Marvel movies in the theater, and the last one (Age of Ultron) I thought was very mediocre even for a popcorn flick, but the balloon will eventually burst. Putting out three movies a year is going to wear down the audience’s enthusiasm at some point. I think it’s going to mostly depend on the international markets as to just how long that shelf life is going to be. I think we’re still far from the balloon bursting. Deflating a bit, but not bursting. I think having 2-3 a year is what helped the MCU & hurt the DCEU (to some extent). It helped get the brand out there and get an array of B, C, & D level characters to be household names. I think the issue will be with RDJ & Evans (possibly Hemsworth) no longer in the MCU will have more of an effect then 2-3 movies a year. And I believe sub-franchises, like Ant-Man, are doing okay numbers because of the characters more then oversaturation. If those movies were only 1 of 2 MCU movies released, I don’t foresee them doing better numbers. Plus, although the MCU is all connected, you don’t need to see every movie to get the story like the serials of the 1940s. I also don’t see how 3 MCU movies in 2019 is going to effect the other movies in the comic book movie genre. I don't think superhero movies are a bubble that will burst. They are more like westerns, one day they will just slow down and not be everywhere. I'm like @nweathington I don't see them in theaters, I just don't go to movies anymore (unless it's a fathom event I really want to see), so that might be part of my part of my lack of interest. More likely it's that I'm a dad of two, been married 10+ years and dealt with a lot of really hard stuff during those 10+ years, what I care about/got excited for has changed drastically since I first saw Blade rip through a vampire night club. I really wish we had younger people on the forums that were jazzed up for the movies. My only issue is that I've never been a huge Captain Marvel (Marvel version) fan, regardless of whether it was Carol or her male counterpart. Just not a character I ever cared all that much about. So while I'll probably check this movie out at some point, there's no "must see" element to it for me. It's nothing against the actors, agendas, or whatever else has been attached to this film...I'm just not all that into the character. I’m in a similar boat family-wise. Last year I saw 4 movies in the theatre; the 3 MCU movies & Halloween. If I could redo 2018, I’d have just seen the 3 MCU movies. After Endgame, I’m probably going to stop seeing the MCU movies in the theatre. Finding windows to go to the theatre (especially without midnight showings is getting to be more of a task. Plus, the latest Halloween movie illustrated nostalgic movies aren’t for me, but for the younger generations to embrace & move forward with. 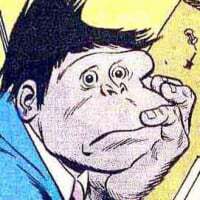 I'd rather we had more younger people on the forums who are jazzed up for the comics. But, yeah, I only get to the theater once or twice a year, and it’s based more on what my kids are excited about than what I'm necessarily excited about. When I say the bubble will burst, I don’t mean that superhero movies will completely vanish. I actually think the western comparison is a good one. About 40% of all the movies made before 1960 were westerns. There was a dropoff in output during the ’60s, but Leone and Peckinpah helped renew the genre and keep it quite popular. Then it just went kaput. It was a bubble that burst. Yes, every decade or two there will be a small resurgence, but nothing like the glory days. I can very easily see the superhero genre follow the same path. And I agree, Matt, that the 2–3 movies a year was a great boon in the building of the Marvel Universe brand. But I think that burnout is going to happen even if Marvel cuts back to two movies a year, because the thing for me is that all the Marvel movies feel more or less the same. Same tone, same pacing, same beats—and that’s all by design. Consistency is essential to building brand loyalty. But when it comes to entertainment, it’s just not sustainable forever. People will eventually get bored and move on to something else. I actually think Westerns are a bad example. I think they died off because of the limitations of the genre and the more time that’s past since cowboys were the norm. And do period pieces typicslly do well today? SciFi & horror movies ebbs & flows with the amount of outputs each year, but they continue to have an audience. They, like the cbm genre, can be adapted & expanded with the diversity of today. Isn’t there essentially consistency in every genre? How different are movies in the romantic comedy, horror, comedies, or science fiction genres? There are specific beats in the movie you can count with each new release. The MCU takes the criticism for it, but how many sequels in comic book movies haven’t followed a formula? I don’t think westerns died off because of any limitations of the genre, I think they died off because of what was going on in the country in the late ’60s, early ’70s. The heart of most westerns is rooted in a romanticized view of the American spirit. Between the Civil Rights movement, Vietnam, and Watergate, that romanticism seemed naive at best. That’s why anti-heroes such as Clint Eastwood’s Man with No Name and Peckinpah’s Wild Bunch took the lead in the genre towards the end. In the ’70s film got grittier and more urban to better reflect the times. Romantic comedy is a subgenre of comedy, so there’s plenty of consistency there. Comedy, though comes in a pretty wide range, and so do westerns. Is Blazing Saddles a western or a comedy? Cat Ballou? Is Seven Brides for Seven Brothers a western or a musical? Firefly is a post-Civil War western set in outer space. Outland is a remake of High Noon, just set on a space station. But even if you discount the genre mash-ups, the westerns directed by John Ford are vastly different than the movies directed by Sam Peckinpah, in terms of tone, pacing, cinematography, and even themes. Yes, there are certain trappings that are the same or very similar in both catalogs, but you get a very different viewing experience from each of them. For all the different directors who have handled the Marvel movies, they could have all been directed by the same person and it probably wouldn’t have made much of a difference. That’s the kind of consistency I'm talking about.